Note: Xtend-Life Lipi-Rite was previously known as “Cholest-Natural” but has since been renamed to its current Lipi-Rite. Nothing else was changed with the product and its ingredients. Welcome to the review of the Xtend-Life Lipi-Rite anti cholesterol supplements product. Individuals who will be interested in this anti-cholesterol supplement will be individuals who are at risk of high cholesterol or already has high cholesterol, and/or on the pharmaceutical statin. Is this a good alternative to statin? I wouldn't endorse it that way because I think if you're already on statin for your high cholesterol, if you want to take Lipi-Right, you should take it together with statin, and only upon your next doctor review, if your cholesterol readings are good, then ask your doctor to review your statin dosage. It's better and safer to check with your doctor. Xtend-Life's Lipi-Right is natural, non-medical-drug and has no side effects that can be considered an alternative to statin. As we all know, statin drugs have a long and painful list of side effects. Because of these nasty side effects of pharmaceutical drugs like statin, natural anti-cholesterol supplements such as Lipi-Rite (and others like it) are gaining in momentum and popularity; plus they're much, much cheaper than statin too. On top of that, natural anti-cholesterol supplements also work well. Xtend-Life says that Lipi-Rite doesn't have any side effects, because it's natural and organic in nature. That's quite a bold and confident statement - is it really true? Xtend-Life says that their natural anti-cholesterol supplement, Lipi-Right, like all their other health supplements and skincare products, are created after deep research and clinical trials, and combining eastern naturopahic medicine with the advanced technologies of the western medicine. From their marketing materials and information available on their website, what they claim seems to be pretty accurate. Xtend-Life's products are organized and created by the now-retired Prof. Dr. A. Munem Daoud PhD., MSc., ND. Prof Daoud is a well respected and traditionally trained biochemist but is also a naturopathic doctor. It was Prof Daoud that led the research group that oversaw all of Xtend-Life’s health supplement products, including Lipi-Rite. Being GMP compliant means that Xtend-Life has certain core set of standards, practices, employee training and systems that are mandated and regulated by GMP and FDA to be utilized with pharmaceutical drug manufacturing. And all these lead to only one outcome: high quality and pure health supplements. Which is why it's very understandable why companies that are profit-driven (aka bottom-line-driven) do not do any of what Xtend-Life does in terms of compliance. At best, common supplement companies will opt to have NSF GMP for Sport certification versus GMP certification as it’s too expensive for companies to meet those standards. With Xtend-Life Lipi-Right, what you will get is that you will get an all natural anti-cholesterol supplement that has no side effects, that is pharmaceutical grade in quality. Because of their compliance to standards, Xtend-Life's products actually exceeds the US FDA's standards plus some of their processes, like the extraction processes for herbal extraction, comply with the Britisih Pharmacopeia regulations. These all mean that the end product is very high quality and has undergone very stringent regulations and quality controls in processes and ingredients. Xtend-Life says that all the ingredients in their anti-cholesterol Lipi-Rite was specially and carefully selected and combined in an optimal biochemically synergistic fashion that aids best assimilation and absorption by our bodies. What Are The Benefits of Lipi-Rite? Xtend-Life says that Lipi-Rite targets and addresses all six prime factors to lower bad cholesterol naturally without all the nasty side effects as well as being more affordable than the pharmaceutical drugs. Lipi-Rite is classified as an anti-cholesterol supplement together with Xtend-Life's other heart health product Cardio-Support (previously known as Cardio-Klenz). Each Lipi-Rite bottle contains 60 softgels, which is enough for 30 days use (according to Xtend-Life, a daily dose is 2 softgels per day). Each bottle is $34.95 USD for 60 softgels, enough for 30 days of use. 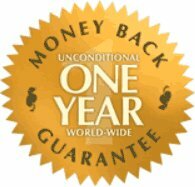 Yes, there is a full 365 days money back guarantee (or full product replacement, whichever you prefer). If you're not 100% satisfied, feel free to seek a full refund or product replacement within the 1 year timeframe. My wife purchased your cholesterol product about a month ago. Here are the results. She started on October 28th, taking two caps a day as directed. The last day was November 27th. She maintained a “healthy” type of diet, although she did enjoy some ice cream, red meat and other “bad things” a couple of times a week. A generally good diet though. She was in class and had virtually NO exercise for the three weeks or so that she was taking your pills. She is pleased with the results so far!! We have ordered two more bottles and, yes, I will definitely tell my friends. Along with your Cardio-Support product, cayenne pepper, and a heart healthy diet, I’ve substantially improved my blood pressure and cholesterol count. I’ve noticed I also have more endurance with my aerobic workout and 4-mile runs. Anti cholesterol supplements are now more important than ever and I’m glad I found your heart health supplement product line. Thank you for the rigorous standards with which you make it. Read more reviews for Lipi-Rite on Xtend-Life’s own website here. Are There Any negatives or Customer Complaints? Customers don't usually complain about the clinical effects and cholesterol outcomes of taking Lipi-Rite - what they do complain about is its price. It's largest competitor, Cholestasys, is a very popular anti-cholesterol supplement that is about 2 to 4 times more expensive than Lipi-Right. Statin and other pharmaceutical cholesterol drugs has a long list of side effects that are nasty. Also, please note that Lipi-Rite has some ingredients in it that are derived from soy so if you have soy allergy, or sensitivity to it, please consult your doctor first. Lipi-Rite does not contain any peanut, dairy, gluten, or shellfish byproducts in it. See the link above above for detailed ingredient list. Where Can I Buy Lipi-Rite? You can buy Lipi-Rite here, but you're free to decide. If your order is less than $60 USD, there will be a flat $6.50 fee for shipping and handling, and delivery is to anywhere you are in the world. You can buy Lipi-Rite directly from Xtend-Life here.